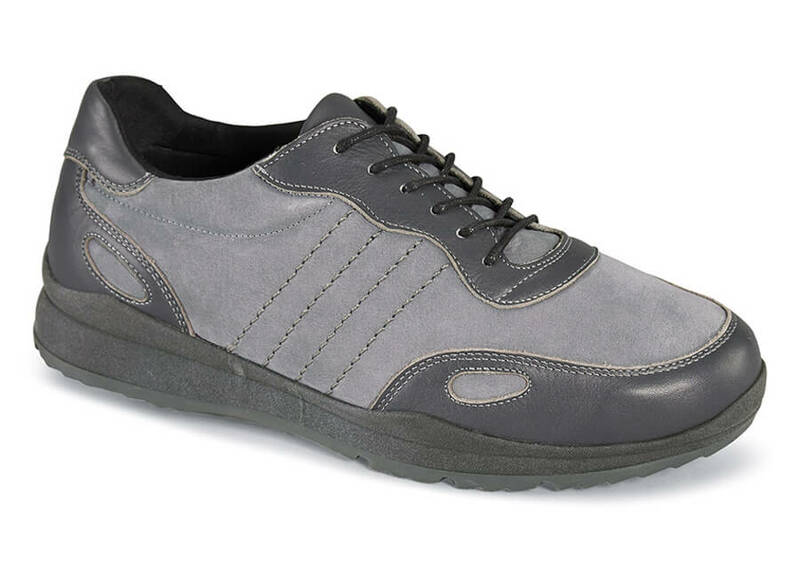 The grey “Seb” athletic-look walker from England’s easyB has extremely comfortable glove-soft nubuck uppers and smooth padded linings, which make it a favorite everyday casual. Remove the foam spacer under the air-cushion insole to adjust fit to your liking. Protective leather bumper at toe and heel. 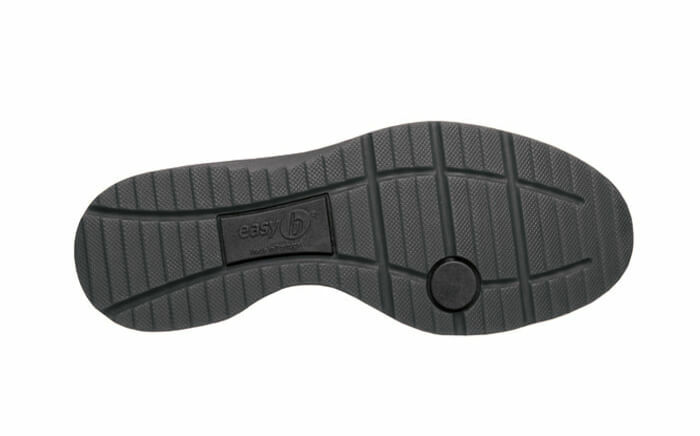 Flexible gum rubber outsole. Made in Europe in U.K. sizes in a generous variable width to fit U.S. men’s whole sizes 7 to 15 in 4E and 6E. Limited stock available.